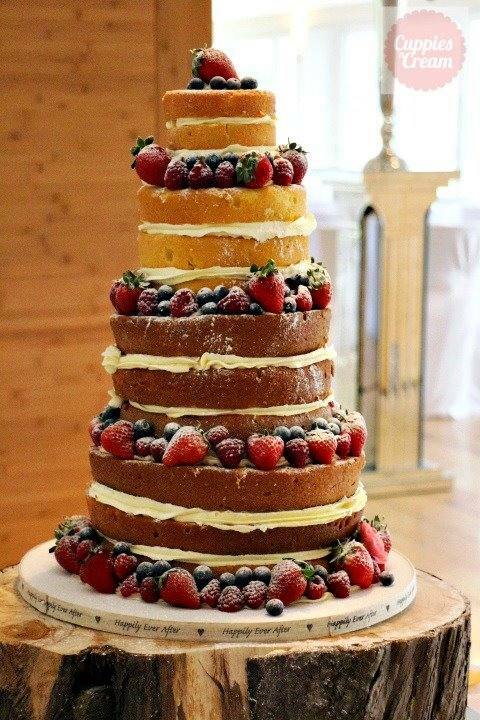 Your wedding day is one of the most important days of your life, and the cake is unquestionably one of the most central features that help to make the day memorable so finding a good gluten free cake maker can be hard. You want your cake to look amazing but most importantly you want it to taste delicious too! As I’ve mentioned quite a few times on my blog I’m passionate about ethically sourced ingredients, I use organic where I can and this is certainly no exception when it comes to gluten free cakes too…if you’d like to try baking your own gluten-free cake, here’s my recipe. Gluten free certainly does not mean taste free! Gluten free cakes and cupcakes are becoming more popular than ever, whether it’s to cater for the bride or groom who have a gluten intolerance, or for a guest attending the wedding. With so many people suffering a gluten intolerance or Coeliac disease (myself included) I felt it was expected for me to come up with a recipe as good as my regular cakes. It took a while, as whilst my first tries were OK they had a strange crumbly texture but slowly over the last few years my recipe has morphed in to a better a recipe and the end result is good enough to fool anyone in to thinking it’s not gluten free! Often couples order their cake thinking they’ll just order one of their wedding cake tiers gluten free but end up ordering an entire gluten free wedding cake from me with the intention of not telling anyone what it is purely because no-one ever suspects or can tell the difference – because it’s that good. I can make any flavour on my website gluten free – which is a lot! Check out my full cake flavour list by clicking here. I recently created a three-tier gluten free wedding cake for Katie and Steve (Katie has Coeliac disease) and they ended up with a full three-tier version. As previously mentioned this nearly always happens as 1) there is no taste difference and 2) it avoids any potential cross-contamination issues. This particular cake had a real variation of flavours too: the bottom tier was Dreamy Vanilla filled with Raspberry compote and vanilla buttercream, the middle tier was Cookies ‘n’ Cream (using gluten free cookies of course) and the top tier was my super moist Carrot Cake. It’s really important when baking gluten free to ensure that no gluten goes anywhere near the cake or your equipment. If I have a gluten free cake in my diary I simply won’t bake anything else during that time. A big commitment I know, but every order is important to me and if that means making an exception for a gluten free cake, I’ll do it. I use all metal tools (bowls, spoons, mixing bowl etc) as these are least porous and I ONLY use for gluten free baking so these will never make it in my usual baking equipment area. I do have some favourite brands of gluten free flour (Doves Farm and King Arthur in particular) but I have also recently worked out that making my own blend is the most successful. Xantham Gum is also a key ingredient for me when baking gluten free, in fact I use it in lots of baking and cooking as its so handy. ‘Naked’ wedding cakes are ever-increasing in popularity and if you follow me on Facebook you’ll probably see I bake quite a few of these. They have become extremely trendy and my most popular flavour for gluten free cakes, both of which are frequently used in naked wedding cakes, are vanilla and chocolate flavours. There has never been so much awareness regarding gluten allergies, and there is no reason why those who cannot eat the product should have to sacrifice on the traditional wedding day treat. I used to see it as a new challenge and a chance to be creative and still being able to spread my love of baking to everyone, regardless of their dietary requirements. If you need any more advice on a gluten-free lifestyle I highly recommend visiting the Coeliac UK website. "Building an online presence – Part 1"